Our knowledgeable and dedicated practitioners and staff members are here to serve you, and provide the best possible assessment, treatment, and support for your Adult ADD & ADHD. We strive for excellence in patient care, which is guaranteed from the moment you contact us. Learn more about our team below! 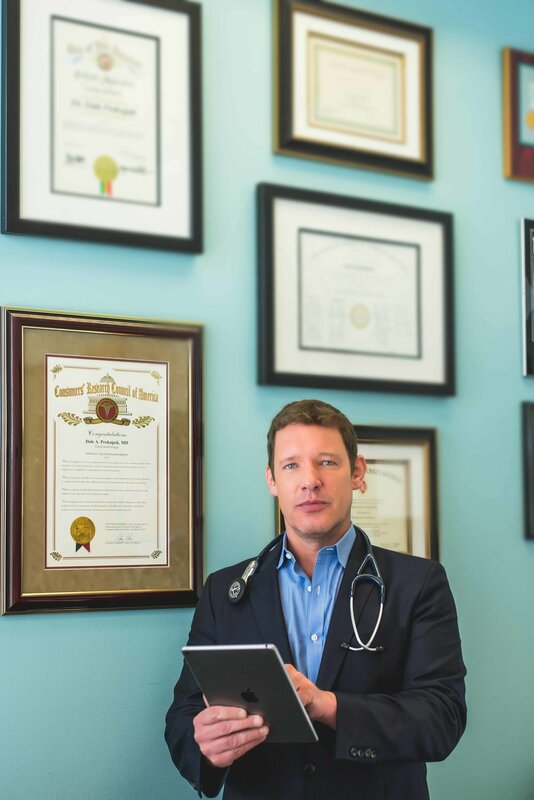 Dr. Prokupek is a board certified internist and staff physician at Cedars-Sinai Medical Center, as well as an associate clinical professor of medicine at the University of California, Los Angeles (UCLA), Geffen School of Medicine. In 2013, Dr. Prokupek partnered with Dennis Fowler to create Millennium Medical Associates as a new division of Dr. Prokupek’s existing practice, focused exclusively on the assessment and treatment of adults with ADD/ADHD. Dr. Prokupek and Mr. Fowler understood that adults with ADHD were underserved, as only an estimated 1 in 10 adults with ADHD are diagnosed during their lifetimes. As a sufferer of Adult ADHD, Mr. Fowler believed that a practice focused on excellence in patient care and education was sorely in need, and Dr. Prokupek agreed. Dr. Prokupek is passionate about improving the lives of adult patients with ADD/ADHD. Emily is a certified family nurse practitioner who specializes in Adult ADHD. She completed her undergraduate education at Temple University in Philadelphia, and started her career in acute care specializing in neurological conditions, working with the underserved community in New Jersey. Emily completed her master's degree at Samuel Merritt University in California while continuing to serve acute care patients, and achieved certification through the American Academy of Nurse Practitioners. Dennis Fowler serves as practice director at Millennium Medical Associates. He oversees all aspects of the practice, from patient care standards to community outreach. He works directly with physicians and staff to ensure that Millennium Medical Associates regularly provides the highest level of patient care and service. Prior to co-founding Millennium Medical Associates, Dennis Fowler served as director of Dr. Prokupek’s internal medicine practice, beginning in 2000. He has 18 years of private healthcare experience and is a graduate of New York University (NYU). Leny interacts directly with new patients to ensure timely appointment scheduling. She also facilitates the submission of insurance claims to ensure that patients are reimbursed the maximum amount that their insurance allows. Leny’s dedication to quality patient care helps ensure patient satisfaction, both before and after visits. Michael Roman serves as patient liaison. He oversees the refill process for existing patients. Michael's daily priority is to make the practice experience as stress-free for the patient as is possible.